The Ultimate Art and Crafts Guide - Avid Crafters Share Personal Tips & Advice On Seasonal Craft Ideas, Stamping Projects, Handmade Gifts, Scrapbooking Layouts, And Handmade Cards - Real people. Real experiences. Real helpful. 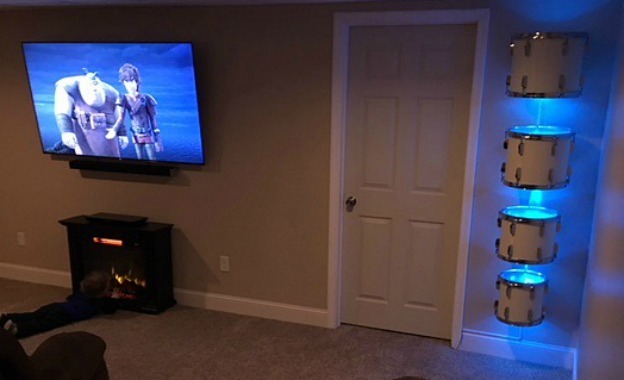 DIY Repurposed Drum Set: See How I Turned A 4-Piece Drum Set Into A Cool Piece Of Home Decor With LED Lights! I wanted a fun (and useful!) 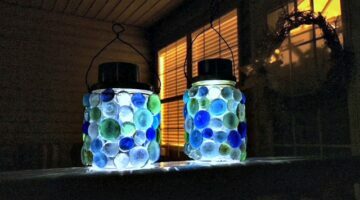 DIY Valentine gift for all the teachers in my son’s Parents Day Out program. This simple Valentine’s gift candy basket for teachers also works as a desk pencil holder once all the candy is gone! With most of the supplies coming from the dollar store, they only cost $3 per teacher gift basket to make. After a trip to Hobby Lobby, I realized that I could easily replicate some of their hanging basket ideas using real greenery from my own backyard without having to spend a dime! These outdoor hanging baskets take less than 10 minutes to make. See the steps I used to make these super simple outdoor Christmas arrangements. With graduation season upon up, I thought I’d share how to make a DIY grad card yourself. 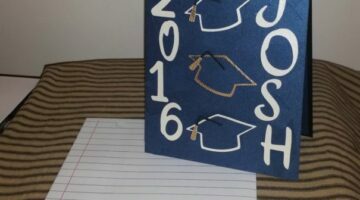 See how to make DIY personalized graduation cards like this one — with the grad’s name, school colors, and graduation year. Plus a matching DIY envelope! Want to know how to make an envelope for a card? 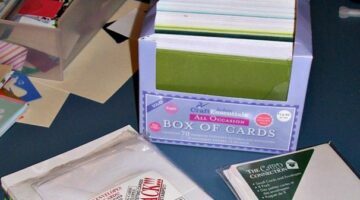 Here are my step by step instructions for making envelopes that will match your handmade cards. See how to make an envelope step by step! 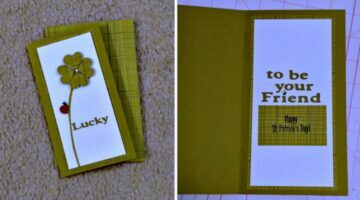 Handmade St. Patrick’s Day Cards: Here’s A Very Lucky Card You Can Make For Friends! 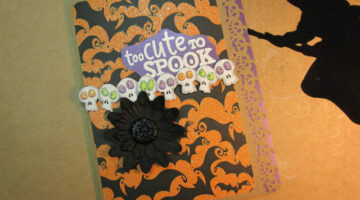 Follow my step-by-step instructions to make your own lucky cards this year. Celebrate your special friends with these handmade St Patricks Day cards – because nothing says ‘lucky’ quite like a 4-leaf clover and a ladybug! The decorations, the family that arrives to help celebrate, the food – all of these are reasons to take pictures then make fun Thanksgiving scrapbook pages! My Collection Of 12×12 Scrapbooks: 14 And Counting! I started scrapbooking when I was in high school. 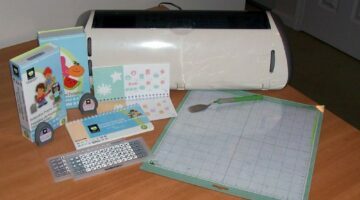 Here’s why I scrapbook and how I organize my scrapbooking albums.